Let’s get right to the nitty gritty tonight. This will be a great Monday Night Football game. The east coasters will get a chance to see just how good — and they’re pretty good – the Seahawks are while the world gets another chance to marvel at Aaron Rodgers. Don’t be surprised if this is a playoff preview played in a playoff-type atmosphere tonight. Here are some probably meaningless but interesting Green Bay trends nonetheless: The Packers win on the road, having been victorious in 10 of their last 11 games. Green Bay is also 6-1 in its last seven games against Seattle; although it should be noted only two of those games were played on the west coast, accounting for the only Packers loss. (That loss was also a Monday Night game, for what it’s worth). While the Packers love to score the total has gone under in 13 of Green Bay’s last 19 road games. The oddest, but worth noting, stat is that Green Bay is 1-5 ATS in their last six games following an ATS win. Obviously, statistics and trends will only get you so far. The fact is Green Bay was a juggernaut offense in 2011, helped the team make a push for perfection before settling on a 15-1 regular season. Nonetheless, Green Bay is a different team away from Lambeau Field. The Packers covered the spread in all but one regular season home game last year. On the road Green Bay failed to cover four times, including in the team’s lone loss as an 11-point favorite at Kansas City. This team is different, and Vegas has noticed. Just once last season – when Green Bay was resting a slew of its starters in Week 17 vs. Detroit – were the Packers favored by less than four points in a game (they were favored by four points twice and 4 ½ points once). We’re hitting Week 3 this season and already the Packers are just a hook more than a field goal favorite. Some Seahawks trends to digest: The total has gone over in six of Seattle’s last eight home games and has also gone over in five of Seattle’s last seven matchups with Green Bay. Quest Field is really the best home-field advantage in football hands down. I’m sure you’ll have Green Bay fans and New Orleans fans challenging that but there is something about those animals in Seattle that make it a west coast house of horrors for so many east coast teams. Seattle generally plays close games at home or, on the opposite end of the spectrum, blows a team out. That’s what makes this a perfect spread. Outside of some questionable clunkers at home last year (a 23-17 loss to lowly Washington and a 34-12 whipping at the hands of Cincinnati) most Seattle home losses are by close to a field goal. (Last year’s 19-17 Christmas Eve loss to San Francisco is the perfect example). All things even, Green Bay is the better team. On a neutral field, assuming the three points given to home teams, the Packers would be about a touchdown favorite against the Seahawks. Aaron Rodgers and the explosive Green Bay offense will do that. Interestingly enough, this potent offense is averaging a pretty blah 22.5 points per game through two weeks. It hasn’t helped playing two of the league’s best defenses in San Francisco and Chicago. As with most prolific offenses the Packers will always go as Aaron Rodgers goes. Last year Rodgers threw for 4,643 yards and 45 touchdowns in only 15 starts (he sat our Week 17). That’s nearly 290 yards per game to go along with three touchdowns. I didn’t even mention he threw just six picks in 502 pass attempts last year. This year, albeit in just two games against shut-down defenses, he has just 522 passing yards, three touchdowns and two picks. While the yardage is still respectable (261 yards per game is nothing to scoff at) it isn’t what makes Aaron Rodgers well, Aaron Rodgers. Seattle’s defense has been getting high praise for the past few seasons, especially the front seven. Therein lies the problem: While Seattle has the seventh-best run defenses in the NFL it ranks dead last in pass defense. That has to sound like music to A-Rod’s ears. The Packers defense was expected to do a complete 180 from last year’s dreadful defensive season. So far, in two weeks, it looks like the turnaround is in full effect. Green Bay is getting to the quarterback and, when it’s not the defense is making plays (four interceptions, a forced fumble, and a defensive touchdown are already on the resume). The caveat here is that rookie Russell Wilson doesn’t play like a rookie, especially against a pass rush. He’s cool in the pocket and, if forced to scramble, he still keeps his eyes downfield in hopes of making a play. While he’s not lighting up the record book in the air (averaging 152 passing yards and a touchdown through two weeks), he’s keeping plays alive and still has the ability to scramble for some yards. That, my friends, will be the key matchup tonight. Rodgers is going to do his dirty work and throw for close to, if not more than, 300 yards and at least a few scores. The game will be decided on how Green Bay handles Wilson. If the NFL season has taught you anything now it’s don’t be surprised by anything. New England at 1-2? New Orleans winless? The Arizona Cardinals at 3-0? The Minnesota Vikings leading the NFC North? All this should force your mind into reality: Anything can happen in the NFL, especially in 2012. Seattle has a rowdy crowd, one that’ll be even more lit up because of the Monday Night game. That extra half point is the key here as there’s a more-than-good chance Green Bay wins, but it’ll be close. There’s also a solid bet that the Seahawks win outright and the Packers trickle to the bottom of the NFC North with the Detroit Lions at 1-2. Go with the trends and that says to take Seattle +3 ½. This game has the looks of a 23-20 showdown, but could very well be played in the 30s. I would steer clear of the over/under on this one and just ride the Seahawks to victory. While tonight’s Thursday evening clash doesn’t have the historical rivalry feel that the previous two games did (NY Giants-Dallas and Chicago-Green Bay) it still has a lot at stake. As Jamie mentioned in his player prop post earlier today, but it features an uber-important game as the loser falls to 1-2 on the season. It isn’t often you have an out-of-divisional matchup in Week 3 that allows you to use the transitive property. 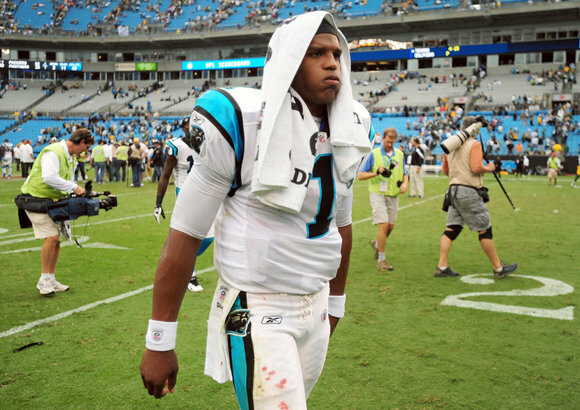 In Week 1 the Panthers struggled in a 16-10 loss to Tampa Bay. Those same Bucs almost pulled a fast one on the Giants in Week 2, that is, until Eli rescued his team with 510 passing yards for a 41-34 victory. We’ll get into specifics of the game later in the post but this game should be all about the quarterbacks. Both love to sling the ball around and while each team has a stable of capable running backs neither offensive line has been good enough to sustain a dominating ground game. What does it mean? Well, for starters, expect both teams to throw a lot – especially on first down. And, if there are a slew of incomplete first-down passes, expect more throws on second and third down. It all boils down to an air show in Carolina tonight. Will either defense step up to the challenge? Both teams enter this game with a lot on the line; starting 1-2 in a loaded NFC is far from ideal. In reality, the game is probably more important to Carolina for the following reason: The rise of Atlanta and seemingly imminent fall of the Saints means Carolina wants to keep pace with the Flyin’ Falcons. If not, it’ll be relegated for fighting for one of the conference’s two wild cards. The Giants, on the other hand, are no stranger to slow starts. History suggests the NFC East winner will be around 9-10 wins and, with so many divisional games on tap, the Giants will have every opportunity to slip into the playoffs once again. The last time these teams met was two years ago. The Giants won comfortably, 31-18. That, of course, was the season that gave Carolina the No. 1 pick in the 2011 NFL Draft and Cam Newton. We’re not yet three weeks into the NFL season and the Giants’ injury report is already in need of a binding. (Stop me if you’ve heard this before). If the Giants are to win it’ll have to be with defense. Tom Coughlin’s team will be without star WR Hakeem Nicks, starting RB Ahmad Bradshaw, WR Domenik Hixon and Pro Bowl tackle David Diehl. Now, if any team has shown the ability to win with fourth- and fifth-string WRs it’s the Giants. (David Tyree anyone!?!) Andre Brown will be the main weapon in the backfield and while there will be a slight drop off from Bradshaw, Brown showed last week (71 yards and a TD) that he’s more than capable of being a quality NFL RB. The key matchup in this game: Cam Newton vs. the Giants’ secondary. While it’s just a two-game sample size, the Giants are surrendering 259 passing yards per game. That is a weakness the Panthers must exploit. Steve Smith and Brandon LaFell are both able to stretch defenses and catch the home-run ball. If those two speedsters clear the field it should allow Greg Olson to flourish over the middle. It should also allow the short-passing game to DeAngelo Williams. The teams have played seven times since Carolina’s NFL debut in 1996. The closest spread was six points (Giants 34, Panthers, 28 in December of 2008). It doesn’t necessarily mean this game won’t be close, but sometimes teams just always tend to play in blowouts or nail biters against each other. In this case, the games are usually decided by 10 or more points. One stat that you have to know before you make a last-minute play: The Giants are 36-15 ATS in their last 51 road games. That’s pretty incredible no matter how you look at it. It really showcases how the Giants are built to play anybody, anywhere, anytime. That said, each matchup is different and this one completely favors the Panthers. Throw in the short travel week for the Giants coupled with all the injuries. While the Giants could very well win this game – possibly going away – it seems like the perfect storm for the Panthers to continue rising in the NFC as a future power. Take the Panthers -1 ½ and, for good measure, take the over 49. More than likely it could be a last-minute, backdoor over with a meaningless touchdown. Week 1 produced a plethora of stories but few were more encouraging than Peyton Manning looking like the Peyton Manning of old and the Atlanta Falcons finally looking like a team ready to Dirty Bird their way to the franchise’s first Super Bowl since 1998. 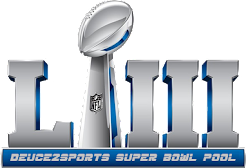 In a rematch of said Super Bowl both teams have all the momentum in the world and, ironically enough, will have all the eyes of the world watching their respective performances tonight. What’ll be crazy when the final whistle sounds tonight is that, after two weeks of the NFL season only six teams will be undefeated at 2-0. (Another six will be 0-2 while 20 will be muddle in the middle at 1-1). Will it be Peyton’s Broncos or Matty Ice’s Falcons soaring above the rest? We’ll know soon enough. The hardest part about breaking down any Denver game this season is Denver hasn’t played a season with a reputable quarterback since John Elway’s swan song in 1998. Peyton changes everything about Denver, especially lines and the potential for usually safe over/under bets to be crushed by one of those lethal Peyton-type games. Take last week as an example. While everyone expected the Broncos to put up a fight there were few, myself included, who thought Denver would handle Pittsburgh. That’s exactly what happened as Peyton surgically dissected the Steelers defense en route to a 31-19 victory. Denver was a slim 3-point favorite at kickoff, a number given strictly since Denver was playing at home. Was it all Peyton? Could Denver have scored 31 points on a Pittsburgh defense with Kyle Orton under center? Is this the end of the road for the vaunted Steelers defense, which is getting older and older? The Falcons, one of the betting favorites at the start of the season, looked like one of the league’s elite teams in throttling the Chiefs, on the road, in Week 1. Remember, Kansas City was supposed to contend for the AFC West crown led by a stellar (and finally healthy) defense. That assumption seems silly given Atlanta putting up 40 points on Kansas City in a game that could have been worse. Matt Ryan threw for 299 yards and three touchdowns in what felt like a near-perfect game. While the Falcons couldn’t run the ball (23 total carries for 84 yards) it was still able to mix in enough change-of-pace runs to keep Kansas City’s defense off balance. So much has changed since these teams last played each other. It was a mid-November game in 2008 with the Broncos going on the road and beating the Falcons, 24-20. (Denver was a 6.5-point underdog in that game with Jay Cutler at quarterback). It was a nip-and-tuck game throughout but it was a Cutler TD pass to TE Daniel Graham with 5:35 to play that gave Denver the lead and ended the scoring. Michael Turner was enjoying his role as a first-time starter at running back that year. He did tote the rock for a pair of touchdowns but 81 yards on 25 carries (3.2 ypc) wasn’t great. Matt Ryan tossed for 250 yards that day but did throw an interception. While some Atlanta faces are the same (Roddy White had 5 catches for 102 yards that day) most of the Broncos offense is different. That makes looking at that game for any help almost pointless. But, it’s still interesting to look at nonetheless. While both teams would love to run the ball, let’s not be fooled: These teams will light it up through the air. Teams that struggle to run the football (read: the Detroit Lions) use short passes to running backs or tight ends to act as a running game. While the Falcons and Broncos aren’t on that level of ineptitude of running the football, both have the ability to utilize the short pass if running between the tackles is proving to be as useful as banging their heads against a wall. Let’s look strictly at Peyton’s history: In his last six regular season games, obviously dating back to his 2010 season with the Colts, Peyton has guided his offense to at least 30 points in five of those six games. His team is 5-1 in those games, though it should be noted the loss came in a 38-35 defeat to Dallas, not the one game where his team didn’t top 30 points (a 23-20 win vs. Tennessee). Now, when you get into the playoffs things change (see: NY Jets 17, Indianapolis 16 in the 2011 playoffs). But this isn’t a playoff game. There will be some intensity but it won’t come close to a playoff atmosphere. When Atlanta wins it tends to cover the spread. In the Falcons’ 10 wins last year, Matt Ryan guided his team to a cover in seven of those games with another push. One of the failed covers was a 23-17 win against Tennessee when Atlanta was a 6.5-point favorite. In the team’s six losses, it failed to cover the spread every game. This all boils down to how you feel about the Falcons’ chances. If you’re sure Atlanta is going to hold serve at home it would make sense to follow Atlanta’s trend of covering when winning. I came across an amazing stat today compliments of Michael Collins at RantSports: Atlanta has made 33 Monday Night Football appearances and won just nine games. That’s right. Atlanta is 9-24 on Monday Night Football, a whopping .273 winning percentage that is the second worst in NFL history. It trails only the Houston Texans (1-3, .250). It might also behoove of you to notice Peyton Manning is 11-3 all time on Monday Night Football, the best winning percentage of any quarterback. There have been so many surprises already this season (New Orleans at 0-2, Arizona winning at New England to name a few) that it shouldn’t surprise anyone if the new-look Broncos roll the Falcons tonight in the Georgia Dome. Will it happen? I doubt it, but it wouldn’t be shocking to see another 31-20 score in favor of Peyton’s gang. I would be leery of the over/under of 51 as it could go either way or, as luck would have it, end up right on the number in a 27-24 or 31-20 game. I'd lean toward the under but would advise passing on that tonight. But, I do advise taking Denver +2 ½ knowing the statistics back up your thinking. The final contest of Week 1, surprisingly, will be between the teams expected to fight for 3rd and 4th in the AFC North. Both teams have high ceilings but expectations have been reined in for seemingly yearly disappointment. It must be tough, in 2012, to be a fan of either of these teams. Both are mediocre at best with enough knuckleheads on the sidelines to drive you nuts. Then again, the excitement is still there before the AFC West hasn’t been a formidable division since John Elway laced ‘em up. (Okay, that’s not entirely true, but it feels that way). Hope springs eternal tonight and, for one team, that eternal hope will feel even better tomorrow morning. The Chargers and Raiders have opened the season against each other twice in recent years (2006 and 2009). San Diego won both games, 27-0 and 24-20. Naturally, the result of those games has nothing to do with tonight’s contest but it is worth noting both of those games, like tonight’s contest, were in Oakland. Both teams finished at the dreaded 8-8 mark last season, although it felt worse for the Raiders. Had Oakland protected home field in last year’s season finale against San Diego, it would have represented the AFC West in the playoffs, not the Denver Tebows… err Broncos. To predict that there might be a little revenge venom dripping from a few Oakland players tonight would be a decent proposition. San Diego is trying to become the AFC’s version of the Green Bay Packers or New Orleans Saints – a team that almost ignores its defense and tries to outscore people. The problem with that thought – and it’s a major problem – is that San Diego’s offense really isn’t that great. It’s good, don’t get me wrong, but it isn’t in the league’s Top 10, which is what it needs to be for the Chargers to continually play the type of defense they do and get away with it. The offense got hot late last season, scoring 34 or more points in four of the final five games. The one time it didn’t – at Detroit on Christmas Eve – the Lions won, 38-10. That was about the time Ryan Mathews was really getting healthy and looking like a solid first round draft pick. Unfortunately for Charger nation, Mathews won’t be playing tonight because of his clavicle injury sustained in the preseason opener. Without his 2011 replacement, Mike Tolbert, the Chargers will have to use Ronnie Brown to take some of the load off Philip Rivers’ arm. This is the same Ronnie Brown that has pretty much been useless in recent years in Miami and Philadelphia. Oakland, unlike San Diego, is trying to make defense a calling card. The problem is the Raiders just don’t have that much talent on defense. Therefore, whether Raiders will admit it or not, Oakland will also be trying to outscore people this season. With Carson Palmer in tow that will be interesting to watch. Darren McFadden will be the best player on the Raiders this season and, if the coaching staff is smart, will let him get around 25 touches a game. He’s the team’s only chance to win 10 games and the AFC West. Let’s put it this way: if the Oakland Coliseum scoreboard was operated the same way Fenway Park’s is they might have to bring in a few relievers for tonight’s game. I expect both defenses to look out of sorts and both quarterbacks, while probably not at their best, to find holes and score touchdowns. Both teams will play a lot of 30-something, 20-something games this season and it all beings in Week 1. Look for something along the lines of 31-28 Raiders. That, my friends, will get you a big hit on the over and also will give you a Raiders cover. I’ll send a “Book It” your way on the over but follow your own heart on the winner. All I can promise is whoever wins will both score and surrender a lot of points. If Sunday’s results were any indication tonight’s Bengals-Ravens game might be between the two best teams in the AFC North and possibly two playoff teams. And, if you think you have any idea exactly what will happen in this game you’re nuts. It could be an Eagles over Browns 17-16 game or it could be a stunning upset like Washington’s 40-32 blitzing of New Orleans at the Superdome. Going all the way back to 2008 the teams have been fairly evenly matched on the gridiron, letting their defenses to the talking. Baltimore owns a 5-3 advantage in those eight games, mostly in part to last year’s sweep. But only one game – a late-season battle in 2008 – was a blowout. (Baltimore won that game 37-3). All the hype being made about rookie quarterbacks is great and adding second-year guys like Cam Newton into that mix is nice as well. But don’t forget about Andy Dalton. All the guy did at TCU was win. All he did in Cincinnati last year was win. 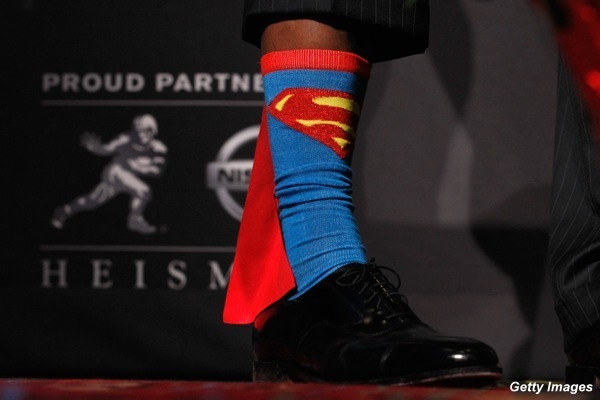 He’s not flashy, nor does he go out of his way to grab the headlines (no RGIII colorful socks or Cam Newton pouts). Unfortunately that puts him on the backburner in the media’s eye and that’s unfortunate. We’ll see if he gets his revenge on Monday Night Football this evening. Jamie already took a look attonight’s player props for this game and it’s a great read. Despite losses on defense the Ravens are still the class of the AFC North. It became even more evident last night as the Steelers looked slow and are showing their age even more so than people thought in 2011. Joe Flacco, while he doesn’t spit out 300-yard games, is usually efficient. He’ll throw incompletions but he doesn’t waste passes (read: audible to a pass just to sling the ball around). Last year’s season finale against the Bengals is a good example: 15 of 19 for 130 yards and one touchdown. Rarely will you see a NFL QB these days throw the ball just 19 times but it was Flacco’s decision making in that game that allowed Baltimore to escape with a 24-16 road victory. Forget the spread right now; just take a look at the over/under. It’s a perfect-but-deadly number. The Ravens hit the over and under (on 40 ½) eight times each last regular season. In fact, nine games totaled between 39 and 45 points. What that tells you is you have a pretty good range where Baltimore games will end up; you just don’t know the side. Only five times last season did Baltimore surrender more than 20 points and, not surprisingly three of the team’s four losses happened when the defense wasn’t on lockdown. The Bengals, on the other hand, only had six games below that mark. The Bengals tended to play in a lot of mid-40s to 50-total point games. Then again, there was also that snoozer to San Francisco in late September. There’s a good chance it’s the NFL’s only recorded 13-8 game. It’s Week 1 and offenses always come around slower than defenses. It’s a proven fact according to the Mackinder Book of Knowledge. There were some firework games yesterday (see Washington-New Orleans, Atlanta-Kansas City, and Buffalo-NY Jets. Heck, even the Bears and Colts lit up the scoreboard. I didn’t analyze each game’s box score but from highlights it did seem like an inordinate amount of scoring came in the fourth quarter of those games. I mean, I witnessed live how the Lions and Rams combined for 26 points through three quarters only to score a combined 24 points in the final 15 minutes. The Bengals have opened on the road the past two years and scored 24 and 27 points, respectively, against the Patriots and the Browns. The Ravens, on the other hand, have been far less consistent. Baltimore lit up Pittsburgh for 35 points in last year’s opener. In 2010, however, Baltimore wanted to bore the world with a 10-9 win against the Jets. Through 14 Week 1 games only four games have totaled fewer than 40 ½ points. Now, while you shouldn’t necessarily look at league-wide trends for your betting habits, it’s definitely something to note. Then again, no matchup pit featured two defenses with the type of reputations the Bengals and Ravens have. Nevertheless, this game is mightily important for those who used my AFC North preview as a season-long guide for these teams. That being said, the Ravens show they can beat any team, especially the Bengals, in various ways last year. The first meeting, a 31-24 Baltimore win, showcased Flacco’s arm (270 yards) and used Ray Rice (104 yards) as a compliment. The season finale put Rice (191 yards) on display as Flacco rested his arm (130 yards). The key to the game will be not if Baltimore can adjust on offense to what the Bengals are doing defensively but how quickly. If it’s halftime in a 7-6 game it might be too little, too late to score that many points. However, if it takes a series or two then the Ravens could really put on a show. I wouldn’t make a play on the over/under, but I’d lean toward the over in what I foresee as a 24-20 type of game. I’ve learned that, especially in Week 1, giving the points usually backfires (see Lions -9 vs. St. Louis). In a contest that could be a field goal contest an 8-point spread is enormous. The Bengals could very well win this game, which makes the spread seem that much more like a joke. Take the Bengals with confidence; they’ll cover and – gasp! – possibly win the game. Book It!